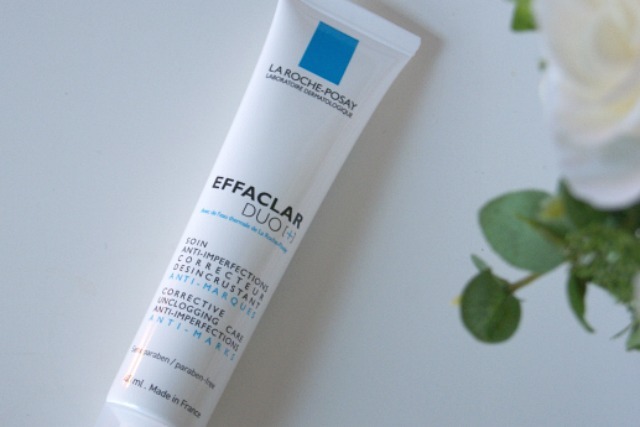 I’ve written about it before, but Effaclar Duo has long been my pore unclogging, shine controlling, blemish battling little pal. I’ve tried my fair share of products which are designed to control oily, blemish prone skin and the vast majority have pretty much taken the top layer of my skin off, in a bid to take the spots and oil off with them. Effaclar Duo has been raved about on beauty blogs, which meant that when it was originally launched in the UK, it was damn near impossible to get your hands on. Earlier this year, it re launched with the second version of the formulation which has a new super power – it helps to minimise the red marks left behind by spots. I moved away from using this for a little while whilst I tried out some other things, but the recent warm weather/air conditioning combo have made my skin get oily far quicker during the day. I’ve brought this back into my routine to get a grip of my face and now I’m wondering why I almost let it get away. As it sinks into my skin so well, I find that if I use it as my daily moisturiser on clean skin, it acts as a primer and creates a very effective, matte base for makeup. Most of the time though, I’ll use SPF before this and I’ll then add primer to control any extra oil and help my make up last longer. Onto the downsides, which there actually aren’t many of if you have oily skin. Whilst it does help to remove dead skin cells, if you have normal/dry skin, it may be too drying. That said, it’s certainly one of the least irritating anti-blemish products to use if you have breakouts. I find that if I have a particularly busy or important day and need to control oil production immediately, I’ll use Dermalogica Oil Control Lotion (£28.20) to keep everything in place. That’s very effective, but is also double the price and a lot less hydrating for your skin in the long term, which makes Effaclar Duo the winner for everyday use. Granted, Effaclar duo [+] isn’t a luxury product that, but it is an effective, practical way to hydrated, clear and soft skin. As ever, I love to read your comments! What helps you to keep your skin looking lovely?